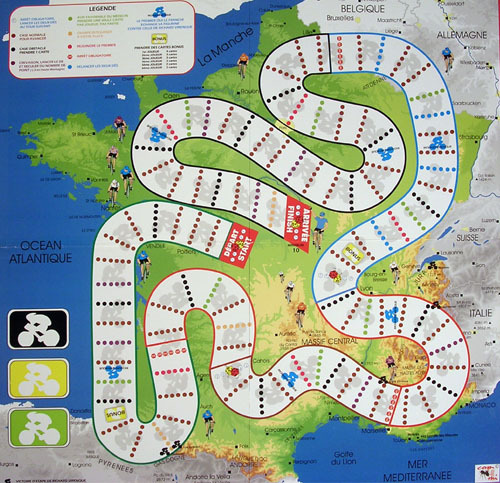 Another French game, and another simple one. 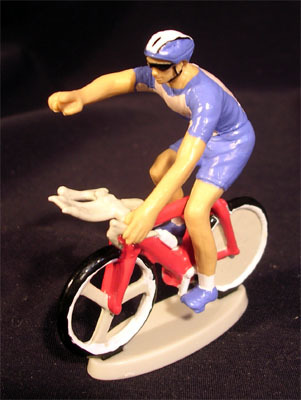 The best thing about this one are the big colourful modern-looking riders. At least they make a difference with the rest of the recent games. 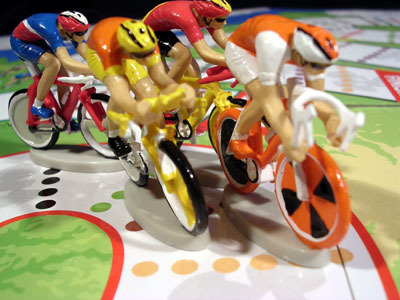 The objective of the game is not to win the race but to be Richard Virenque. Strange? 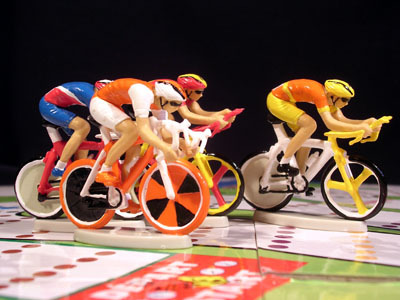 Well, you have to win the race to be Richard Virenque! 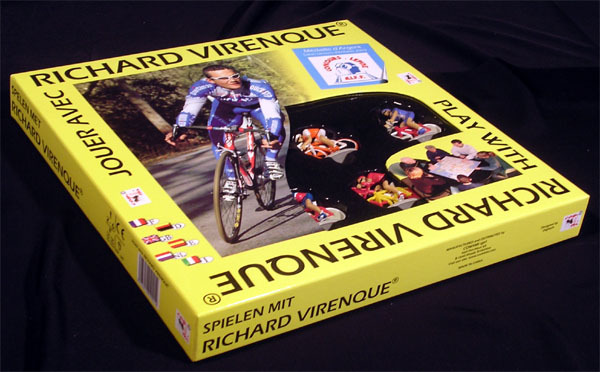 The rules and all other elements of the game are in six languages but I would object that (a) there quite a lot of grammar mistakes -at least in the Spanish part-, and (b) only a French kid would like to be Richard Virenque. Not only the other countries have their own heroes, but I am afraid that Richard Virenque is not exactly a role-model outside France.